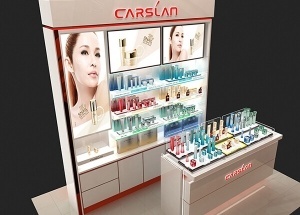 This wooden display cabinet is used to display skin care product, perfume, cosmetics in cosmetics store. 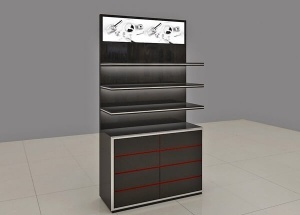 The display cabinet is made by wooden(MDF), metal fixtures, LED lights, light bos, etc. 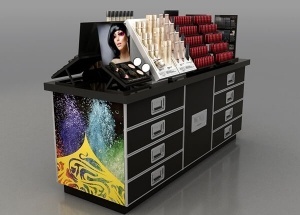 This cosmetics stands are 2-side cosmetics counter display with acrylic display stands and wooden counter table. 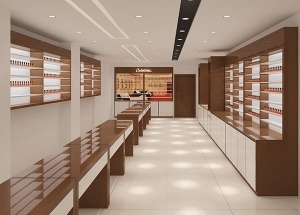 we can also customize finishes to your specification. 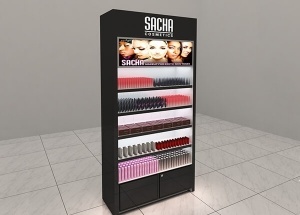 This wall cosmetic shelf is used to display makeup,lipstick,skin care product in makeup shop,makeup kiosk in mall.The display stand is made by wooden(MDF),acrylic,metal fixture,LED lights,etc. 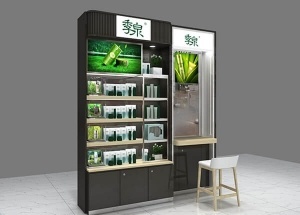 custom skin care display stands and counter display, call at 0086 13825185029 . 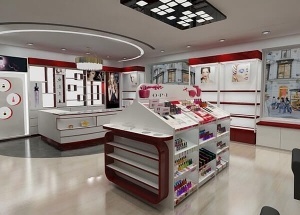 This commercial makeup display is a wall makeup store shelves. 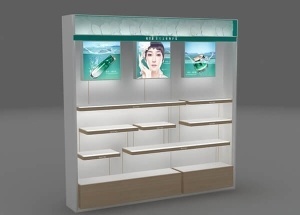 This skin care retail display is a wall display cabinet, used to display perfume,skin care product,makeup in perfume shop,makeup shop.The display stand is made by wooden(MDF),tempered glass,metal fixture,LED lights,light box,etc. 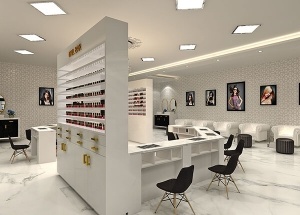 This nail shop design are made for a nail spa salon project located in the USA.